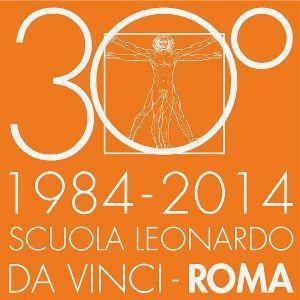 For 30 years Scuola Leonardo da Vinci Rome has been a center of training and specialization for teachers of Italian as a foreign language dedicating special attention to all the latest developments both in theory and in the approaches of teaching a foreign language. The objective of the school is to ensure that all teachers are up to date on the tools and techniques that allow them to work better. The ultimate goal is to apply experience and enthusiasm into daily teaching practice as well as modern professionalism and the ability to make the best choices for students. Scuola Leonardo da Vinci in Rome has been collaborating for years with various academic institutions - both Italian and foreign. The school is recognized and accredited center for the training of teachers of Italian as a foreign language. Several times a year theoretical and practical training courses are organized for those who wish to acquire the tools and learn techniques that promote better work in the classes. The schools also offers training courses specifically for those who wish to take the DITALS exam. The school is a center for the CILS exams (certification of Italian as a foreign language). The school organizes and manages academic programs accredited by the syllabuses of Italian departments of many colleges and universities in the United States. Within these programs the Italian language courses, for students in levels ranging from beginner to advanced, and language courses geared to deepen specific vocabulary areas allow students to obtain credits from the recognized university or college to which they belong. A center for the exams for two certificates of competence in Italian as a foreign language: CILS (Università per Stranieri di Siena) and the "Firenze" diploma in the Italian Language (Academy of Italian Language). A center for the DITALS certification examination (teaching Italian as a foreign language) including both the first and second levels (Università per Stranieri di Siena). To learn more about the city of Rome, its history, cultural life and for further information, we suggest you AboutRoma.com, the tour guide of Rome completely online. Here you can find all the information about Rome. You are here: Home 1984-2014: 30 Years Anniversary!